DATE: 13 March 2018 TIME: 6:30 p.m. 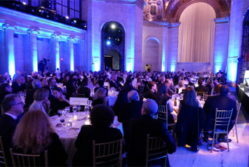 LOCATION: Club Quarters, Dining Room, 40 W 45th St. The OPC and PEN America are co-sponsoring a program to discuss PEN’s new report on social media censorship within China. The report will help demonstrate how, under the tenure of President Xi Jinping, the Chinese government’s control over the social media space in the country has both tightened and expanded. The Chinese government is wielding its ability to surveil and censor as a way to control civic discussion online, to prevent dissatisfaction and dissent, and to protect the reputations of its highest members while ensuring that influential social media users are cut down to size. Please note that the location of the program has changed from the Priestly Room to the Dining Room at Club Quarters. Scroll down to watch the event live via the OPC YouTube channel. 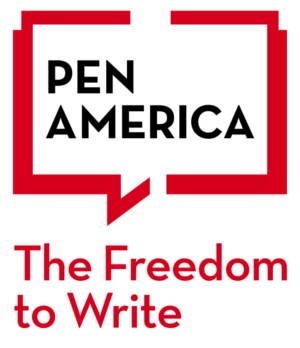 PEN America’s report includes an examination of how such censorship impacts the lives of Chinese writers and artists, for whom social media is often a creative and financial lifeline. For writers and other creatives, the censorship of their social media presence is an erasure not just of their opinions, but of their work and their creative expression. 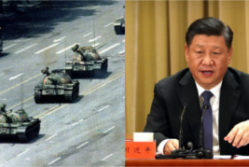 The vague and broad nature of China’s censorship rules means that the ‘red lines’ of posting or conversing on social media are continually drawn and re-drawn, and authors and bloggers are increasingly faced with the dilemma: self-censor, withdraw from the conversation, or leave the country. At a time when the line between a writer’s official work and his or her social media presence is increasingly blurred, censorship and surveillance of social media means that there is no safe outlet for uncensored expression. The report includes comprehensive interviews with writers, poets, artists, and others whose lives have personally been impacted by this system of censorship, as well as interviews with anonymous employees at Chinese social media companies. The report will also include an Appendix of cases of Chinese citizens who have been detained or convicted based on their social media postings over the past six years, demonstrating the destructive effect these censorship rules can have on peoples’ lives. Kaiser Kuo, co-founder of Sinica podcast, a current affairs podcast in Beijing, and former director of communications at Baidu.com. Prior to that he was a journalist with Red Herring and China Now. Alexa Olesen, a Brooklyn-based writer who focuses mainly on China, particularly on politics, culture, and the one-child policy. She covered China for eight years as a correspondent for The Associated Press and has spent more than a decade living in Beijing, on and off, since 1993. She recently collaborated with the International Consortium of Investigative Journalists on its Offshore Leaks China project. 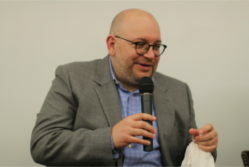 Clay Shirky, faculty in Interactive Media Arts at NYU Shanghai and author of two books on social media: Here Comes Everybody and Cognitive Surplus. James Tager, senior manager of free expression programs at PEN America. Edward Wong, an international correspondent for The New York Times and a Nieman Fellow at Harvard University. He was an Iraq correspondent for the Times from 2003 to 2007 and covered China from Beijing for the Times for nearly a decade afterwards. Wong won the OPC Foundation’s David Schweisberg scholarship in 1998. Moderator: Minky Worden, director of global initiatives at Human Rights Watch. Click the window below to watch a live stream of the program on Tuesday, March 13.